ESPN Insider's Bracket Predictor helps you evaluate each of the 63 games and imports your picks directly into ESPN's Tournament Challenge. How far can your bracket go? 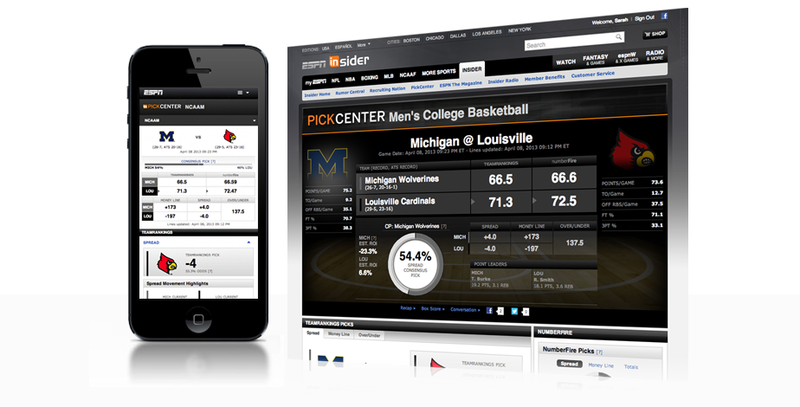 ESPN Insider's Bracket Analyzer forecasts round-by-round survival odds and projects your number of correct picks. Provides all the resouces you'll need to make the best and most educated picks in each and every game.